The row surrounding Padmaavat, starring Deepika Padukone, Shahid Kapoor and Ranveer Singh in the lead roles, began in January 2017 when some members of Rajput outfit Shri Rajput Karni Sena vandalised the film's set and even slapped Sanjay Leela Bhansali. Padmaavat starred Deepika Padukone, Shahid Kapoor and Ranveer Singh in the lead roles. Looking back at the massive row surrounding his film Padmaavat, Ajit Andhare, COO of Viacom 18 and co-producer of the historical, says what angered him the most was a certain section’s opinion that the movie benefited from the controversy. Directed by Sanjay Leela Bhansali, Padmaavat was embroiled in a year-long controversy over the story of queen Padmavati. It faced protests from the Rajput community, which resulted in more than a month’s delay in the film’s release. The film finally released on January 25 this year. Andhare, who was today a part of a panel discussion “The myth of offence: Are historicals and biopics endangered species?” at FICCI Frames 2018, said the lesson learnt from the Padmaavat issue was the myth that filmmakers like to stoke up controversies for publicity needs to be dispensed with. “Another myth that we often deal with is when people say, ‘All publicity is good publicity. So, it all benefited you.’ I think this is a big myth. No storyteller, no one in the business of films wants to stoke up a controversy least of all when you are making a mainstream film, which also happens to be the most expensive film of the industry. This is a big myth which we should clearly dispense with. In the case of Udta Punjab also, these kind of things were said. Nobody courts controversies certainly not stakeholders when so much is at stake,” the producer said. 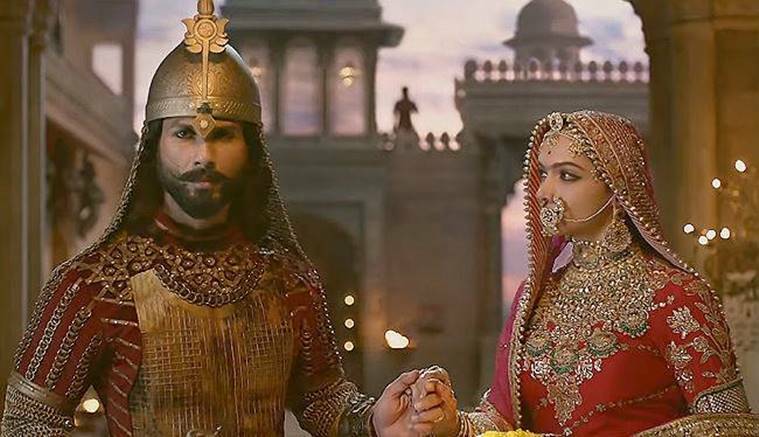 Contrary to the belief of many that the makers were happy to have their film in news courtesy the controversy, Ajit Andhare said that if anything that the Padmaavat team wanted at that time was to assure the audience that the film bore no “controversial” content. Ajit Andhare termed steps taken by the film’s team – from Bhansali’s video clarifying there was nothing offensive in the story to the producers putting up advertisements in newspapers, mentioning that the scenes which were allegedly defamatory to the Rajput section were not even part of the movie – as “cringe-worthy”. “The director’s video was out there, clarifying point by point. We had to run a full-page advertisement saying these scenes were not in the films. There was a one-page ad. Who does that? As a storyteller, you will cringe that you are telling your audience before it comes that this bit is not in my story. But even then, people had this in their mind. Ranveer Singh was lauded for his performance in Padmaavat. “To me the biggest angst or anguish or lesson that can be drawn is what about fighting this kind of misconception or perception, even for a studio which is armed with PRs, channels and so on and so forth. So, how do you really counter that? Nobody wants to hear a narrative that’s possibly boring, taking away the fun that they are having,” he said. The row surrounding Padmaavat, starring Deepika Padukone, Shahid Kapoor and Ranveer Singh in the lead roles, began in January 2017 when some members of Rajput outfit Shri Rajput Karni Sena vandalised the film’s set and even slapped Bhansali, saying they were upset with the way the director was depicting queen Padmavati. This was when the film was in the making, and no one apart from the team knew about what was in the story.